We guide and mentor athletes in pursuit of personal excellence while developing the whole child/athlete. We help each athlete reach their full potential by developing the skills and self-confidence needed, shaping their future and creating memories that last a lifetime. 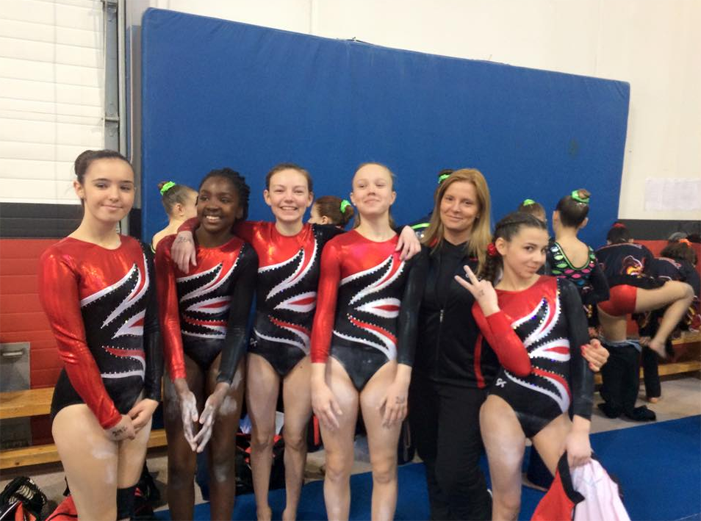 All Star Sports Centre provides exceptional competitive artistic gymnastics programs for boys and girls that involve training the whole child, in an athlete-centred environment. In this environment, personal goal setting, personal best and long term life lessons prevail. Within our programs, honesty and integrity are at the core and at all costs, we aim to do put each athlete’s best interests first. We provide outstanding coaching up to elite level with advanced technical, spotting skills, choreography expertise and years of proven experience. Our athletes have exceled at the Provincial and National levels and many have become champions. We believe the athletes long term development is foremost as they cultivate self-confidence, a positive work ethic, good habits, healthy attitudes and personal qualities that will last well into their adult lives. We also believe that hard work, perseverance and self-discipline never go out of style, are essential life skills and are the keys to achieving your goals. We love to have a kind, peaceful, considerate environment filled with laughter, good times, awesome gymnastics and great memories. We live each day with thankfulness and appreciation for the job we have to teach and inspire children to be the best they can be. The competitive program is by invitation only and based on a coaches’ recommendation or a tryout. Tryouts are held usually 2x per year, in the spring and fall. Tryouts are posted on our website and on Facebook. Please LIKE US on Facebook! Athletes will receive an email invitation to the competitive program. An athletes’ training group placement and hours are determined by the Head Coach and Assistant Head Coach, in conjunction with the competitive coaching staff. The recommendation will depend on when the child starts, the child’s level of ability, their work ethic, attitude, performance, listening skills, progress, etc. The competitive season runs from July 1st through to June 30th. Fees include 48 weeks of training and are spread over 12 months. These payments are done this way simply for the purpose of easier, more convenient payments. Fees are paid monthly, annually or semi-annually. You can save almost a months training fees when you pay in 1 or 2 installments!!! The Competitive program takes holidays for 2 weeks in July, 1 week in September and 1 week during the December holiday totalling 4 weeks, hence the season is actually 11 months long. These weeks of no training are not charged in the training fees. Summer is a great time to get in extra training while the kids are not in school! Monthly fees are determined by the expected training hours from Sept-June. Extra summer hours are billed separately at the hourly rate and are depending on regular training hours. These are usually determined in advance and submitted at the time of registration in one payment. Most groups will compete a minimum of 3x per season. 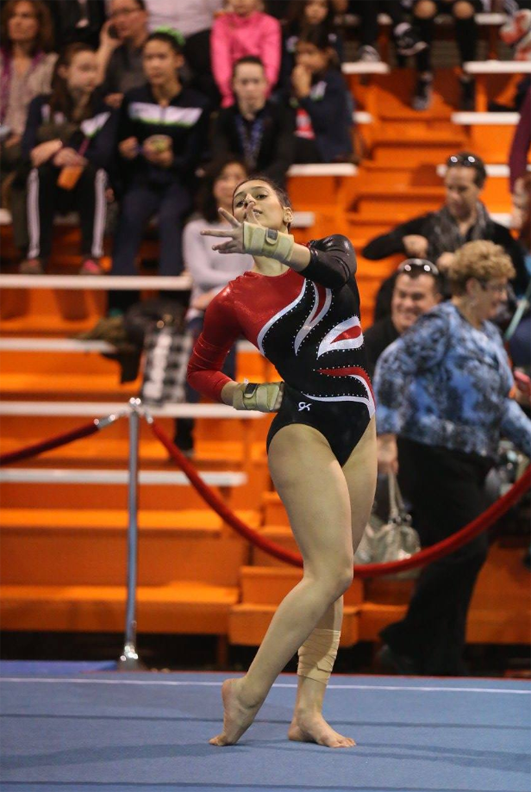 Athletes in qualifying meets will be aiming to qualify for Provincial, Eastern Canadian or National Championships. There is a cost share fee for each athlete for all meets in addition to the meet fee. A training suit and competition uniform is required for all competitive athletes as well as a competition gymbag. We have amazing parents! 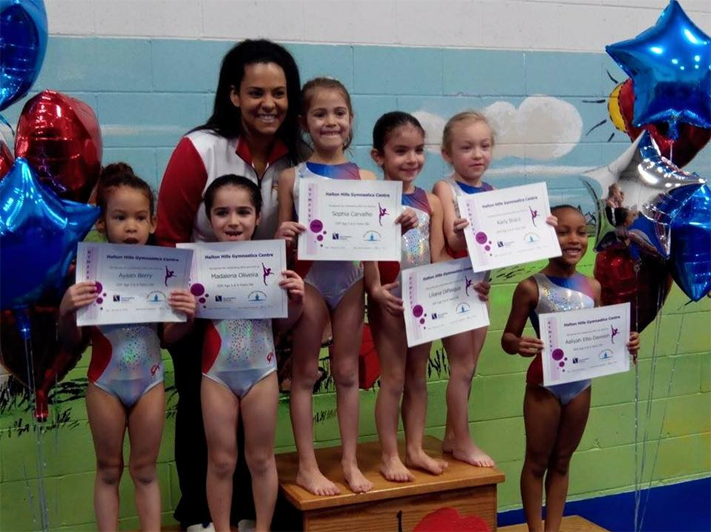 Many LOVE to use their talents and be involved in their children’s gymnastics. 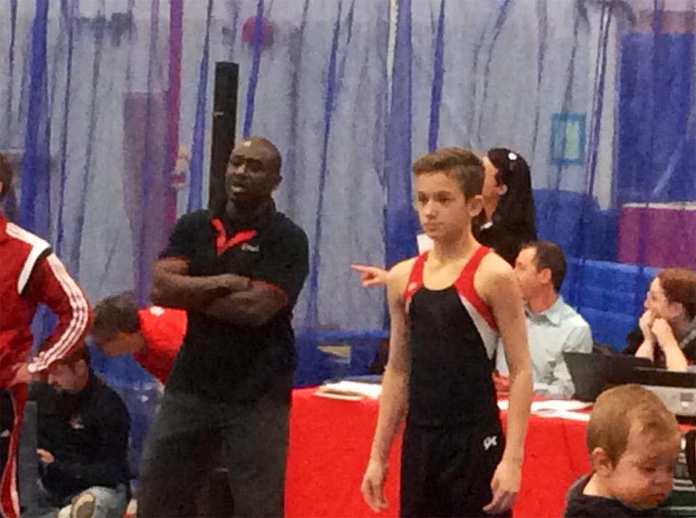 Our Athlete Support Hour system has one of the lowest parent involvement commitment of any reputable gym. This helps offset the fees for running a competitive program. Parents assist with running competitive related competitions, organize fundraisers and contribute to the overall program spirit that helps their child-athlete thrive! 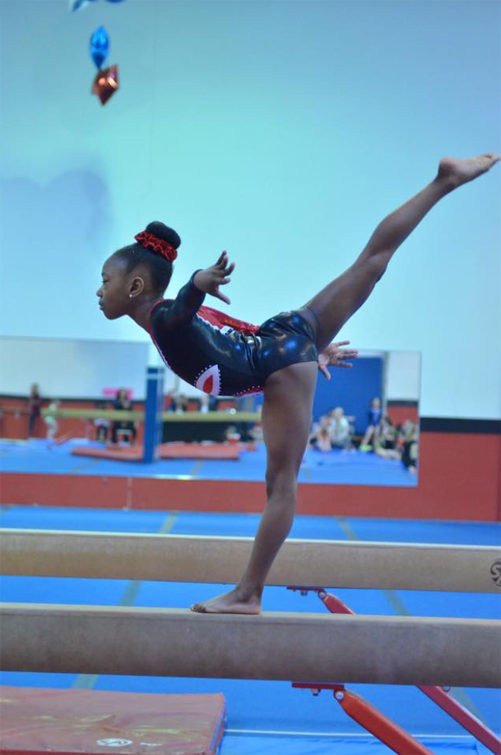 It is for this reason that competitive gymnasts can receive such reasonable training fees, as low as $5.00 per hour! Parents are encouraged to get involved at All Star and contribute to the TEAM spirit that helps promote a positive and encouraging environment. Parents are able to choose their level of involvement. For more information, see the Competitive Guidebook provided when invited to the program. Makeup classes can be scheduled in any class of the same time length and in your child’s age group and level. Makeup classes must be used while the student is currently enrolled in a program, within 30 days. It must be used after the class is missed, not before. There is a maximum of a 1 makeup class per month, per child, If there is room in a class. They have no cash value and cannot be used in lieu of payment. We will do our best to accommodate you with a make up class but they are not guaranteed. To schedule a makeup, check the class schedules and then email the office at info@allstarsportscentre or drop by the front office to schedule your child’s makeup. Your child’s program runs until the end of June. Although you may pay monthly, this is NOT a month to month program. You do not have to re register, but you may have to move classes. Please read the bottom of the report card for the recommendation. If your child is repeating the level, you do not have to make any changes. If your child has passed, a change of class will depend on the recommendation. Some classes have more than one level, so even if your child has passed they may not have to move classes to complete the next level. Please see the office for clarification, or to move classes. If your child was away during testing, a progress report will be given instead of a level. Please also note that it is not imperative that you move classes/levels immediately. Please view the schedule online and give us a call or come in to the office. We will be happy to make the recommended move for you.